Gathering Qi is the suggested second form within the first step, but can be done first if you feel drawn to beginning with a moving meditation. For those new to Sheng Zhen, it consists of a single, repeated movement, which is typically done standing up but can be done sitting in a chair. 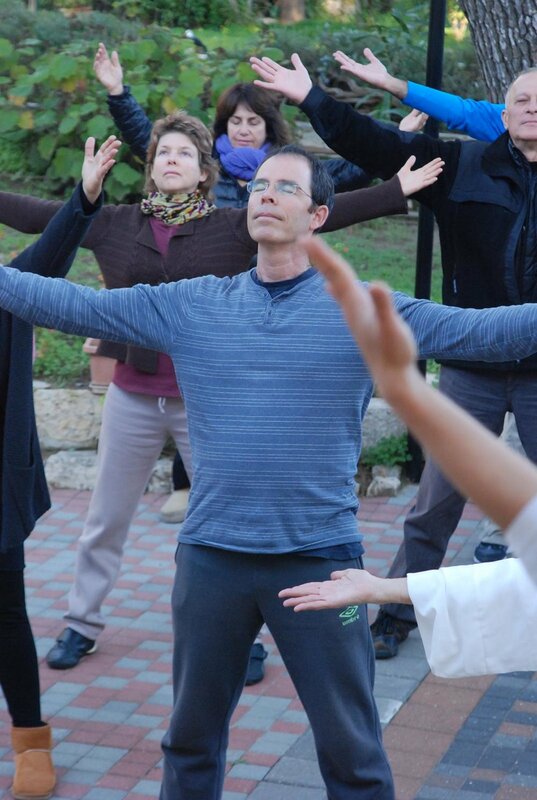 Although the movement is simple, understanding how to do it well—including how to use the mind and how to open the five energy gateways and entire body to receive healing energy—is fundamental to all Sheng Zhen practices.